Based in Stoke St Gregory at the heart of the Somerset Levels, just 1 mile or so from The Lemon Tree. The milk for their ices is collected fresh every day from the milking parlour so the ice cream comes literally from ‘pasture to pot’ in one day! Granny Gothards Ice Creams have been, is and always will be made from the finest dairy ingredients. 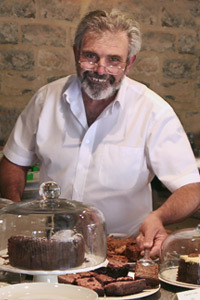 Gothards Farm have won several awards, most recently ‘Farmer of the Future 2008’ and Granny Gothards has also recently been recognised for its outstanding quality. Gothards gorgeous black and white cows are at the heart of the business and Gothards pride themselves on great animal welfare, comfort and stress-free surroundings. 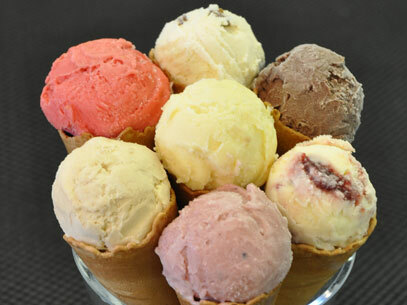 Eight tempting flavours of Ice Cream are on offer at The Lemon Tree.